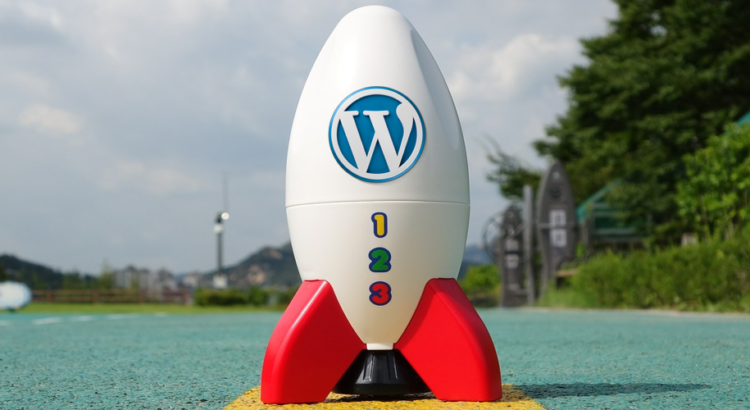 WordPress by itself offers a plethora of site optimization benefits using plugins, but what about speeding up your site without the use of any cache plugin? If your WordPress site is slow or loads pretty quickly, it can be made even quicker – literally, every millisecond makes a difference. Your site’s speed can be measured and its performance made wee little faster. But, before that what is the importance of a website that loads fast? Your website load speed not just provides a great user experience, but also improves your search engine ranking. As you already know, Google’s search engine algorithm lays a lot of emphasis on faster page load speeds. It is one of the many vital parameters to calculate the page rank of your website. In fact, a test performed by Google shows that a drop in the load speed from 100 milliseconds to 600 milliseconds led to a decrease in the number of searches from 0.2% to 0.6% over the span of four to six weeks. However, exposure to a 200-millisecond delay and a 400-millisecond delay showed up to 0.36% to 0.76% fewer searches in a three week period. Such a difference greatly impacts the number of searches performed. Web hosting:- When there are issues with your web server hosting, it hurts your website speed significantly. Cache pages:– Always make you’re your WordPress site is serving cache pages. If cache pages are not configured in WordPress, it causes web speed to become slow or it crashes entirely. Large images:– If images aren’t optimized, it will make the website pages heavy. External scripts:– Font loaders, ads, and more can have a higher impact on your website performance. Poor plugins:– Bad plugins that are not coded well has a huge impact on the way your website performs. Even if you keep these numbers aside, how many times have you just left a website because its page load speed was slow? Would you prefer visiting a website again that performed very slowly on your browser? One of the very first steps that you can do to make things load faster is to compress the images on your website. Images on your website bring content to life and it is found that visitors are 80% more likely to read it if there are images on your site. But, non-optimized images can hurt your site much more than helpful and is one of the most common issues with speed. Images are often larger files, reducing the size of which can significantly improve site speed. Use an image resizer or photo editing software to manage image sizes that you upload on your website. Originally images can be huge files. But, based on your chosen compression in your editing software, image sizes can be decreased by up to 5x times. Mostly there are two compression formats used for images – JPEG and PNG. While JPEG is a compressed file at the source, PNG is uncompressed but contains more details. The result is a higher size file that takes more time to load. Choose JPEG file format if your image has a lot of colors. For simpler images with not much color content, PNG is a lot better. Or else, you could use Lazy load images in WordPress. These not only improve page load speed but also retain visitors on your site for a longer time. Using the popular social share buttons may require adding JS for proper functioning. At first backup your theme files. Then, in single.php file add <h2></h2>. See the above code. Even though your website performs well using a good shared hosting service, you share resources with others on the same server. As a result, whether you’re starting a blog or a website on WordPress it can be greatly affected if your neighboring website on the same server is getting excess traffic. A managed WordPress hosting is ideal to improve your site’s performance. The configuration of the server is such that it automatically takes backups of your site. Hence you get more advanced security features to protect your website. As explained above, the best web hosting is always a preferred choice for your website. However, make sure you update the WordPress site from time to time as and when you receive a prompt for the latest update. With WordPress being updated more, it will enable you to access new features that are added to the dashboard frequently. Make sure your site is up-to-date with the current version of the theme installed. Not doing so will make your WordPress website vulnerable to increased security threats. Hence, instead of loading your WordPress site with plugins you can easily improve its load speed using these steps. For a great user experience, your website should perform exceedingly well so that visitors enjoy navigating through the pages with the least page load waiting time. Only when your site provides a good experience to the visitor, it will have more visits and achieve a higher ranking in the search page results. A digital marketing strategist helping clients to resolve their website woes. When not busy with all things, you may find me occasionally watching movies, traveling and spending time with my family.